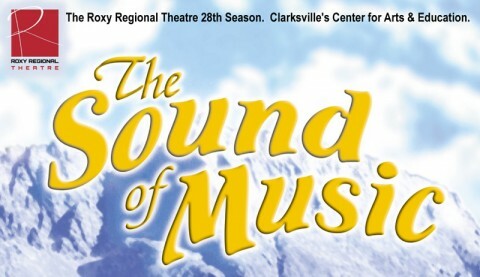 Clarksville, TN – The Roxy Regional Theatre is alive with THE SOUND OF MUSIC this summer with the opening of the beloved Rodgers and Hammerstein musical on Friday, July 15th, at 8:00pm. When postulant Maria Rainer (Kendall Anne Thompson) proves too high-spirited for the religious life, she is dispatched to serve as governess for the seven children of widowed naval Captain Georg von Trapp (Bryan Benware). The final collaboration between Richard Rodgers and Oscar Hammerstein, THE SOUND OF MUSIC also features Ryan Bowie, Hannah Church, Bill Colclough, Brianna Fuller, Erica Lee Haines, Erin Keas, Matthew Kurtz, John McDonald, Amanda Morgan, Joylene Taylor, Heather Trabucco, Christopher Wren and, as the von Trapp children, a rotating cast of local youth Sydney Barksdale, Gavin Berlyak, Noah Booth, Bella Cargill, Adianna Cervantes, Kourtni Cottrell, Grace Davis, Scott Hall, Truman Jepson, David Judd, Meghan Judd, Annalise Martin, Madeline O’Connor, Zoe Owen, Margaret Snyder, Andreya Steidl and Nathaniel Taylor. This production is sponsored in part by Planters Bank. On Wednesday, July 20th, at 7:00pm, the Roxy will host a SOUND OF MUSIC SINGALONG, during which audience members can sing their hearts out to such favorites as “Do Re Mi,” “My Favorite Things,” “So Long, Farewell” and more, right along with the performers. 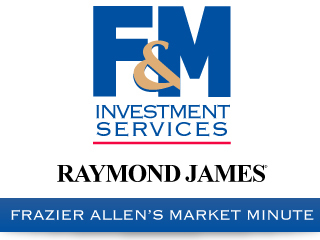 If they choose, patrons may dress as characters from the musical and participate in our costume contest, with prizes courtesy of Planters Bank. Tickets are $30.00. All audience members will receive a free autographed poster. 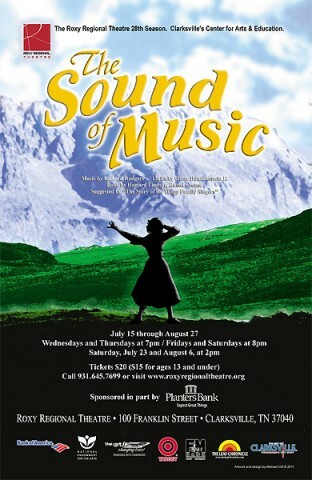 THE SOUND OF MUSIC runs July 15th through August 27th, playing Wednesdays and Thursdays at 7:00pm and Fridays and Saturdays at 8:00pm, with 2:00pm matinees on Saturday, July 23rd, and Saturday, August 6th. Tickets are $20.00 (adults) and $15.00 (ages 13 and under) and may be reserved online at www.roxyregionaltheatre.org, by phone at 931.645.7699, or at the theatre during regular box office hours (9:00am to 2:00pm, Monday through Friday). Opening night, Friday, July 15th, is the pay-what-you-can preview. Any tickets remaining at the box office at 7:30pm that evening will be sold for whatever price you wish to pay.